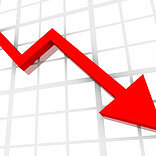 Rise in price has led to the drop in sales. According to a recent study by rural consultancy MART, the consumer durable goods are facing a rough phase while fast-moving consumer goods, media, telecom and financial services have all registered solid rural growth. The study covered 24 villages and 24 small towns across four regions – Uttar Pradesh, Maharashtra, Andhra Pradesh and West Bengal. Pradeep Kashyap, CEO, MART, said, “Television is no longer seen as a dowry item in the rural areas, because the penetration levels are already very high.” He said rural areas have now upgraded to microwaves or water purifiers, and are buying second or third televisions. Also, with the upgradation to LED and LCD TV, companies are no longer promoting basic models even in the rural areas. The consumer durables industry saw 4-5 price hikes last year and had no discounted offers on the table as the input costs went high. The report also puts the points to poor industry performance on low farm profitability leading to postponement of purchase decisions. “All over India, almost 14% of the consumer durable purchase happens through a finance option, of which a meagre 2% is accounted for by rural areas,” said Pankaj Mishra, Partner, Mart. According to reports, Korean company LG had close to 400 offices in the remote areas and has closed many of them, as they did not foresee business in the rural areas. Adding to this, Godrej and Boyce did agree that sales have dipped.